At APEX, I spent a lot of my time listening to speakers, talking to our customers and prospects and sharing my own ideas with industry luminaries on panels. The story is extremely consistent. The fundamental need in the short term is to get everything in the factory, and in fact throughout the entire manufacturing ecosystem, connected and digitized. What is less consistent is the approach to doing that, with many making a simple process much more complex than it needs to be. One element which, to my mind, is creating unnecessary inertia, is the debate around standards. Within the industry there is considerable debate around the new standards. Whilst some great work has been done, and in many ways it is a fine example of how IPC can bring the industry together, the whole debate has made a simple task more complex than needed. Many users are asking which standard to use, do I need one or multiple, what machines connect to which standard and when will all the new standards be available everywhere? Ranjan Chatterjee is Vice President and General Manager of Cimetrix where he oversees all aspects of business strategy and execution for the Smart Factory business. His focus is on extending and introducing standards and platforms into Industry 4.0 and Industrial Internet of Things (IIoT) initiatives by interfacing manufacturing equipment with big data and embedded analytics tools. With nearly 25 years of experience across the cloud, mobility, networking, security and collaboration markets, Ranjan joined Cimetrix from Motorola. 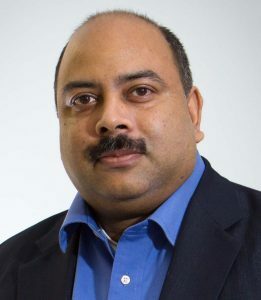 At Motorola, Ranjan was General Manager of the Software Solutions group that pioneered disruptive, game-changing software technologies that dominated the market in mobile platforms, cloud networking and cloud services solutions. Ranjan has held positions of increasing responsibility at Motorola in various divisions including Semiconductors, Mobile phone, Automotive and Public Safety and brings significant experience in strategic planning and execution, organization development, and incubating and scaling new businesses. Ranjan led the development and deployment of a standards-based factory control systems for Semiconductor, SMT and assembly factories, which encompassed multiple factories around the world, and connected thousands of pieces of equipment. Ranjan has a M.S. in Computer Science from Carnegie Mellon University.